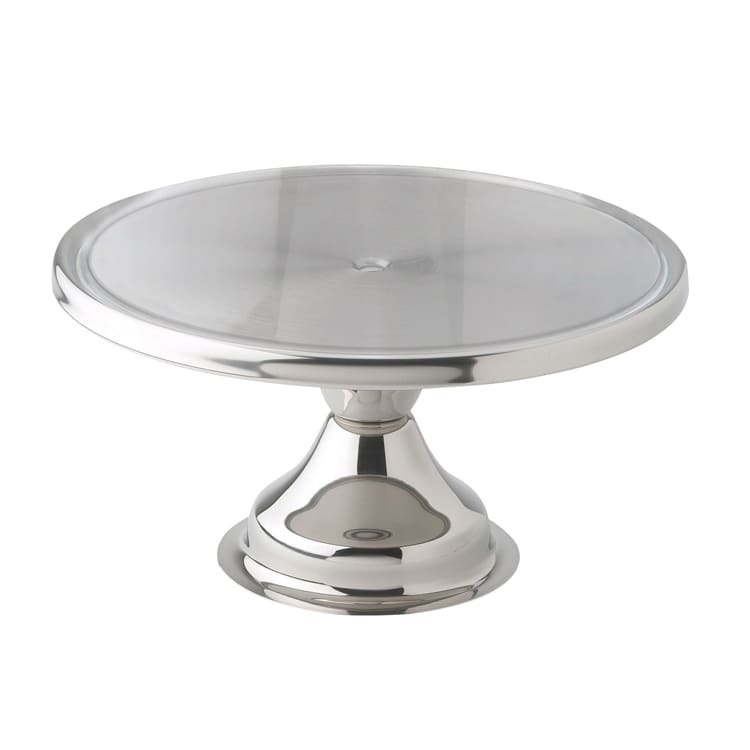 The Winco CKS-13 round cake stand has a 13-inch diameter and can be used to display baked goods, including pastries and cakes. This footed cake stand will look great on countertops, dining tables, and in display cases. Overall Dimensions: 13 in. dia.